Welcome to Heritage Investments, a trusted partner in your financial journey. At Heritage Investments, we’ve been helping clients meet their financial goals for more than 30 years. Formerly known as Hinde & Company, we changed our name to Heritage Investments in 2012 to reflect the expertise and service we provide to our clients. 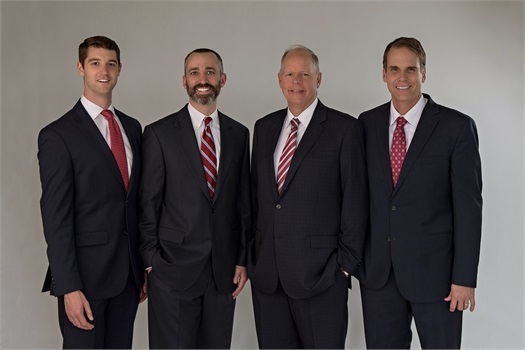 As an independent family based business founded some three decades ago, we feel a strong connection to our own heritage: the honor and privilege of helping our clients develop and pass down their own unique family legacy. That’s why we make it our passion and priority to connect with the heritage each client brings to our relationship. We begin by getting to know you, to understand your goals, dreams, values, fears,and aspirations. We then put a plan together to help you get from where you are today to where you want to be tomorrow. Please contact us if you have any questions about our firm or the range of financial products and services we provide. Heritage Investments is committed to you for the long term. guiding them to and through a lifetime of sound financial decisions. Do the ups and downs of the market have you worried? If so, watch our latest video by Advisor Dave Hinde, as he gives a perspective on long-term investing. Take the first step toward your financial goals today.